time tracking, and detailed reports on progress. 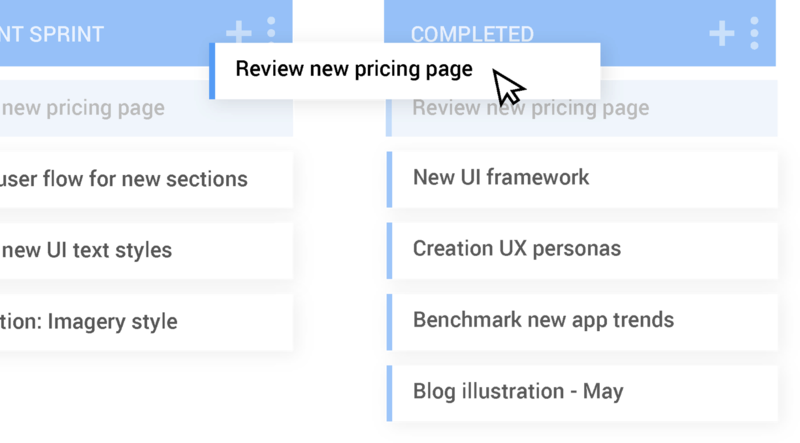 Assess productivity, manage teams, and track projects with Hubstaff. Determine how long tasks take to complete, and visualize your team’s workload so you can stay ahead of bottlenecks or stalled projects. Track time and monitor productivity from simple, lightweight apps for Mac, iOS, Android, Windows, and Linux. Hubstaff runs in the background so you can work without interruption. Make sure time is going toward the right tasks. Capture work in progress with optional screenshots. Improve performance by identifying time-wasting tasks. When you have an accurate record of how time is spent on a task-level, you can easily make improvements to staffing, tools, and processes. Reporting provides smarter insights so you can make the best decisions for your business. Elevate your best team members and inspire the entire organization with an accurate measure of productivity. Custom reports along with built-in activity metrics provide tangible measurements you can use to record progress and motivate teams to reach goals. 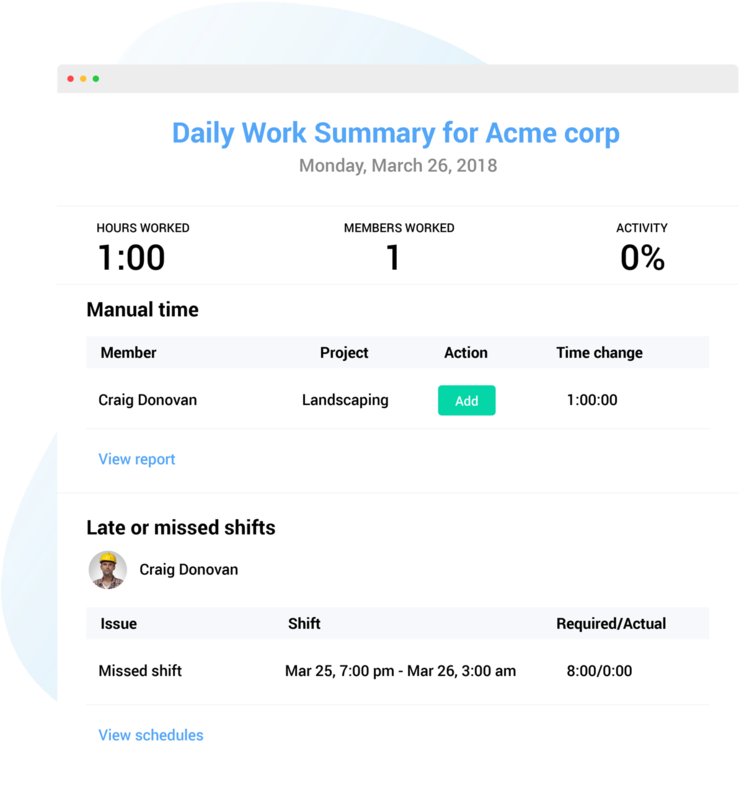 Once you start using Hubstaff’s seamless, accurate time tracking software, you’ll free up the time you used to spend checking in on projects or team members. Make the most of your work time by focusing on what you do best. Hubstaff handles the rest. 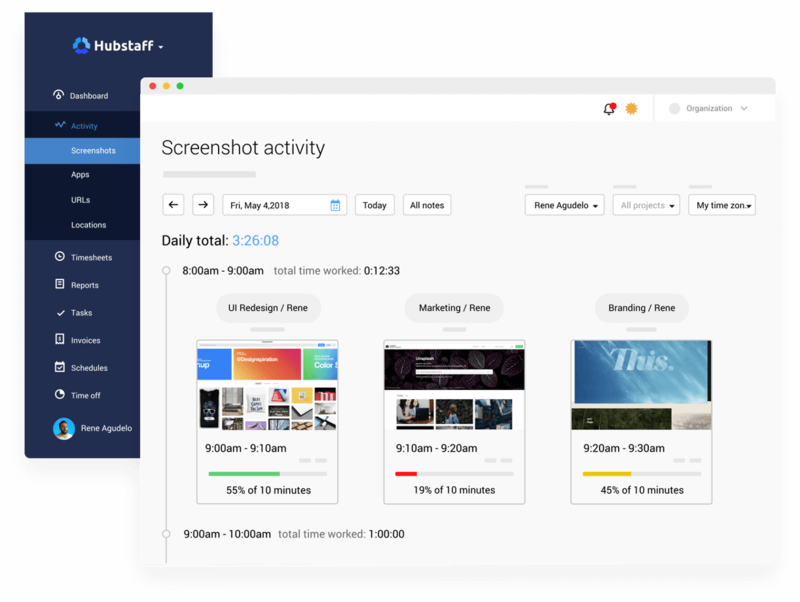 Hubstaff Tasks, our visual, full-featured project management tool, was built to provide a seamless work management platform when integrated with Hubstaff time tracking. See exactly how much time has been spent on a task, how much budget remains, who’s working on what, and so much more. A bird's-eye view of what’s happening at any time. Skip the status meeting and see work as it develops. Understand how active team members are while working. Assign specific tasks to focus teams on the highest priority work. Better manage time across the organization with easy-to-use apps. Capture URLs visited while tracking time. Monitor applications used and identify when new tools are needed. Set project hour and budget limits to keep your team on track. Track time and generate reports of activity based on specific tasks. After using Hubstaff, our productivity has nearly tripled for my company. Ready for your productivity to take off?